ESET, European based IT security company, has been selected as the National Champion (representing Slovakia) for the 2014 European Business Awards. ESET is not a newcomer to this prestigious European business competition, having been selected among the top companies before. This year there is one major difference though – starting today, the public voting opens for the first time with ESET competing as one of the best companies in the category of customer focus. This first phase of the online voting is open from 6th January 2015 to 24th February 2015, giving ESET seven weeks to get as many votes as possible. Both funny and serious in tone, ESET video which features ESET Chief Technology officer Palo Luka, ESET Technical Support Manager Juraj Zaruba and Miro Mikus, ESET EMEA Sales and Marketing Director, can be voted for at European Business Awards website. 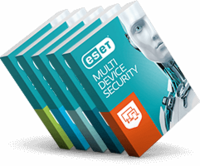 Miro Mikus introduces ESET:“We envision a secure digital world for everyone that is why we provide one of the best technical supports for more than 180 countries. Each customer gets a technical support exactly when and where it’s needed.” […] “We are delighted that European Business Awards has recognized ESET’s dedication to its customers already in the first phase of the completion and we are looking forward to receive votes from our fans and satisfied customers,” he adds. “An important aspect of business development, customer focus ensures that services provided are useful and relevant to current and potential customers. As a core practice it drives growth through a deep understanding of customer values. This award celebrates organisations that have enhanced their prospects and profitability by putting the customer at the heart of their business,” states European Business Awards about the customer focus category, where ESET is competing. For more information about the vote, visit the the Awards website.